Bingos are a very important component of club operations. They are the reason that we can offer our programs at prices that you would not find in other communities. The Friday night bingo sponsored by Arctic Edge Skating Club runs year round and pays for ice costs which total in excess of $65,000 per year. 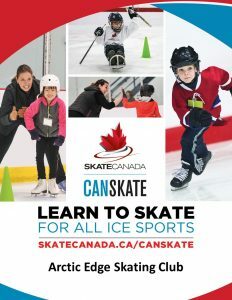 All Starskate and Early Academy parents or guardians are required to work a minimum number of bingos per skater scheduled throughout the entire skating year from September to September of each year. Parents or guardians of Junior to Senior level skaters will be required to work 6 to 10 bingos throughout the year depending on enrollment and number of Friday bingos scheduled throughout the year. If there are two skaters in the family, parents or guardians are required to work an additional four (4) to five (5) bingos. 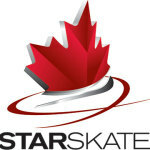 Bingo requirements will be prorated for skaters registering for the Starskate/competitive program in January. Parents of Early Academy skaters are required to work 3 bingos per year per child. Bingos are a subsidy for ice costs and if the bingo requirement is not fulfilled as scheduled, then additional fees of $200 per missed bingo will be charged to the parent or guardian. If bingo slots are not fulfilled throughout the year due to a shortage of workers, Starstake and Early Academy parents may work additional bingos which are over and above their pre-scheduled dates. The incentive to work additional bingos will only be available if all families have completed or will be completing their bingo requirements during the year and if the club has available funds. When the time comes to schedule bingos, the bingo coordinator will be asking parents or guardians to state their constraints/weekends when they are not avaialable and the scheduler will accommodate those constraints to be best of their ability. You will receive a draft bingo schedule to review and one opportunity to ask for changes. Once the bingo schedule is finalized and you cannot make your shift, you will be responsible to find a replacement. The club may be able to help you with finding a replacement with advanced notice. You will be required to work your bingos spread evenly throughout year and at least one long weekend during the season. If you are behind on your bingos and want to catch up or are available to do bingos on short notice our bingo coordinator will add you to our “Last minute Call Sheet”. Please e-mail the club (arcticedgesc@gmail.com) and include a cell / phone number where you could be reached between 5:30 and 5:45pm on Fridays. If you or your alternate is not able to make the bingo shift, you are expected to find your own replacement. The replacement worker, if a member of the club, will get credit for the bingo worked and you will be expected to contact our bingo coordinator to reschedule so that your bingo quota can be reached. Set up workers should arrive at the Legion no later than 4 pm; Floor workers are expected to arrive at 5:40 pm and the banker is expected to arrive by 5:30 pm. Bingo set-ups are considered as one bingo worked. You are expected to work the entire shift. A shift normally ends by 9 pm. Bingo workers must be 14 years of age or older. Families who default on their bingo requirements (i.e. repeatedly do not show up; repeatedly cancel with short notice, or fail to schedule their required bingos for the season) are not eligible to receive bursaries (i.e. lottery’s travel assistance or other funding through club initiatives) until their bingo commitments are fully completed. Families who are in default will be considered not in good standing and will not be allowed to register for further AESC programs until a plan to meet their outstanding bingo commitments has been made.